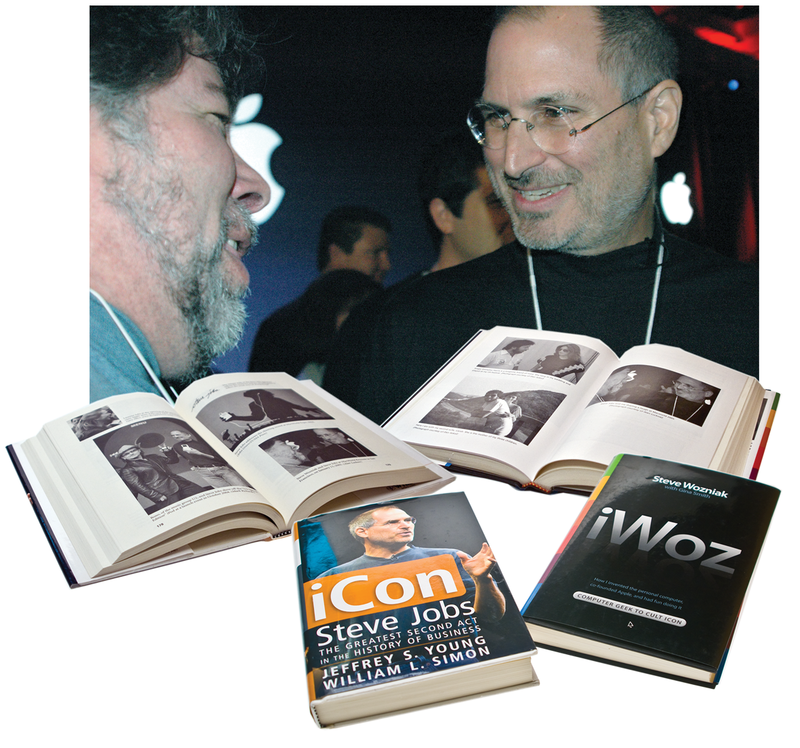 Luckow took this photo of the two Steve Wozniak and Steve Jobs in 2005. It was used in numerous publications (and continues to be) as it is probably the last photo of the two of them together looking at each other and smiling. Shown here are two books open to the page the photo was featured, “iCon” ISBN 0-471-72083-6 and “iWoz” ISBN 0-393-06143-4.